On December 25, 1979, Soviet Defense Minister Dmitri Ustinov ordered the first Soviet troops to cross the Afghan frontier to begin what would become an almost decade-long military intervention. The decision to invade was taken after almost nine months of deliberation and initial hesitation by the Soviet leadership — from Ustinov to KGB Chief Yuri Andropov to General Secretary Brezhnev himself. Brezhnev was personally taken aback by the assassination of Afghan leader Taraki and the emergence of a new, unpredictable government in Kabul. In the background, helping push events toward invasion, was a nominal crude oil price of $41 per barrel ($117 per barrel in inflation adjusted 2015 dollars). Ustinov, a technocrat committed to arming the Soviet Union to the teeth while placating powerful interests within the military establishment, played a decisive role in diverting billions of rubles (what would eventually comprise anywhere from 15 to 25 percent of Soviet GDP) to the defense budget. With U.S.-Saudi relations at a nadir and oil prices set to climb in the aftermath of yet another global energy shock, Ustinov viewed Afghanistan as a perfect polygon to test a new generation of Soviet missiles and attack helicopters. This aligned with Andropov’s years-long unofficial policy to focus Soviet intelligence efforts at disrupting global energy production and manipulating oil markets — the Soviet economy had become almost entirely dependent on oil exports and was exploiting wells across eastern Siberia at record rates (in some cases extracting as much as 100 tons a day from a single well). Brezhnev wanted revenge and stability, Andropov sought to keep oil markets on edge and Ustinov was eager to deploy idle military hardware — a fusion of interests buttressed by the twin assumptions that Afghanistan would be a short and almost costless campaign (or, in old Russian parlance, a “small, victorious war”). The international reaction — one that came to symbolize the state of the Cold War in the late 1970s — was stark outrage. Détente, initiated by U.S. President Nixon with his “opening” of China and Secretary of State Kissinger’s realignment of Egypt away from the Soviet sphere of influence in the aftermath of the 1973 Yom Kippur War with Israel, was declared dead. Despite U.S. President Carter’s decision to boycott the 1980 Moscow Olympics and pull out of negotiations over a SALT II nuclear arms limitation treaty, the narrative across the West was one of “Warsaw Pact up/NATO down” and facilitated the embrace of a more hawkish approach to the Soviet regime with Reagan’s election. Today, decades after the fact, commenters still recall 1979 as something of a trough in U.S. influence and global prestige — a time when Soviet-aligned forces seemed unstoppable. Yet far from signaling Soviet resurgence and American decline, the invasion of Afghanistan made manifest the Soviet leadership’s complete detachment from the limitations of the Soviet state. Deluded by stratospheric oil prices, a misplaced belief that global energy suppliers (particularly Saudi Arabia) would not accommodate the U.S. and boost production (i.e., that relations between the U.S. and the Saudi government would permanently remain poor) and remembering the swift suppression of anti-Soviet uprisings in Hungary and Czechoslovakia, the Soviet Politburo threw an oil-dependent, broken economy and disaffected citizenry into a conflict that ended up costing 3 percent of national GDP ($8 billion rubles a year over ten years of conflict) with little thought of the consequences and few contingency plans. The war destroyed what little remained of the Soviet regime’s legitimacy in the eyes of a detached public and accelerated the Soviet Union’s implosion a little more than a decade later. So dependent was the Soviet economy on oil exports — the state imported more than one-third of its grain — that practically the entire budgetary process was subsumed to the needs of immediate consumption. Over a period of fifteen years, the Soviet economy degraded into a massive Ponzi scheme with almost every ruble in hard currency earned from oil exports spent on basic consumer imports. The perpetuation of an artificial economy became the principal foreign and domestic policy aim of successive Soviet leaders. In this context, and given the extravagant demands of the military-industrial complex, the Soviet government in 1979 had little choice but to pray that oil prices would never fall while continuing with business as usual. Brezhnev’s government plowed energy windfalls into tanks, missile batteries and strategic defense systems instead of roads, bridges, housing and consumer goods. Some in the leadership knew the extent of the Soviet Union’s economic woes, but felt structural reforms could be put off for at least a decade — a miscalculation that would bring the second superpower down like a house of cards. The domestic situation in contemporary, post-sanctions Iran, notwithstanding important differences in economic systems and trade relations, has ominous overlaps with the late Soviet Union. Although credible, independent data about the state of its economy is difficult to obtain, approximately 68 percent of Iran’s net exports consist of oil and petroleum products. Iran’s official unemployment rate hovers at 12 percent (some unofficial estimates place it as high as 40 percent) with a labor force participation rate of an appalling 45 percent. Iranians suffer from an official inflation rate of over 15 percent, with the actual number probably much higher. Iran has persistently struggled with budgetary deficits to support a range of price controls and consumer subsidies. The Iranian regime has anchored its 2016 fiscal year budget on oil prices settling at between $35 and $40 per barrel — a risky gambit due to a glut in global supplies to be worsened by Iran’s expected boost in production with the end of sanctions. On a broader level, the Iranian regime has struggled to implement structural economic reforms going back decades. Despite allegedly reducing the national budget’s dependence on oil revenues from 70 to 25 percent, some 40 percent of the population does not pay taxes. During his controversial tenure, President Mahmoud Ahmadinejad tried to move the needle on subsidy reform, succeeding in getting the Supreme Council to approve the Subsidy Reform Law of 2010 to phase out subsidies on refined oil products and gasoline. To ease the pain, the Iranian parliament approved direct cash subsidies to low income citizens as fuel prices rose to 90% of the international market level. Unfortunately, the fuel price shock and higher consumer demand led to price increases in other areas of the economy. In a panic, parliament imposed price controls on a range of consumer goods but kept the cash subsidies in place, leading to a wave of bankruptcies as firms failed to break even. Alongside subsidy reform, Ahmadinejad forced state-owned banks to offer loans at low interest rates to consumers and investors, steered privatization of public companies and state assets to benefit regime loyalists and the rural poor (a political support base and source of patronage) and accelerated the militarization of key sectors of Iran’s economy with appointments of Revolutionary Guards Corps and Basij militia leaders to management positions. This has been largely maintained by Ahmadinejad’s successor and Iran’s current President Rouhani, despite some progress with tax reform and improved domestic production outside the energy sector. Alongside inconsistent reforms to subsidies and financial services, the militarization (to the detriment of long-term growth) of core sectors of the economy and limited diversification away from oil and petroleum exports, Iran’s society appears to be coming apart at the seams. As is the norm in many post-revolutionary states, an initial period of euphoria and open-ended hope gives way to resignation with an inadequate status quo; such was the case in the Soviet Union for several decades before its collapse and such appears to increasingly be happening in Iran. An alarming number of young Iranian men and women are giving up on marriage. According to relatively recent data from Iran’s National Organization for Civil Registration, the country has more than 11 million youngsters of marital age — of these, 46 percent of men and 48 percent of women are unmarried. The number of divorces grew by 65 percent from 2006 to 2013. For a country of 77 million people, these are catastrophic figures. Worse, Iran is among the fastest aging countries in the world, with all the looming economic disruptions associated with having too few young workers caring for an expanding population of pensioners. The Iranian government’s crude attempts to reverse these trends have so far mostly failed, made more difficult by the explosion of fertility-reducing sexually transmitted illnesses — one study concluded that 12 percent of Iranian women have contracted Chlamydia. If low birth rates, a collapse in marriage and growth of sexually transmitted infections was not bad enough, Iran is also grappling with a drug epidemic and spike in alcoholism (despite official bans and punishments for use ranging from public lashings to death). It is estimated that approximately 7 percent of Iranians have drug related problems, with a growing number of young, educated women becoming addicts each year. In addition, Iran has opened 150 outpatient alcohol treatment centers to cope with a surge in illegal alcohol consumption. Official estimates place the number of alcoholics at 200,000, but this could well be higher with over 1 million Iranians said to have broken the law to consume alcoholic beverages. 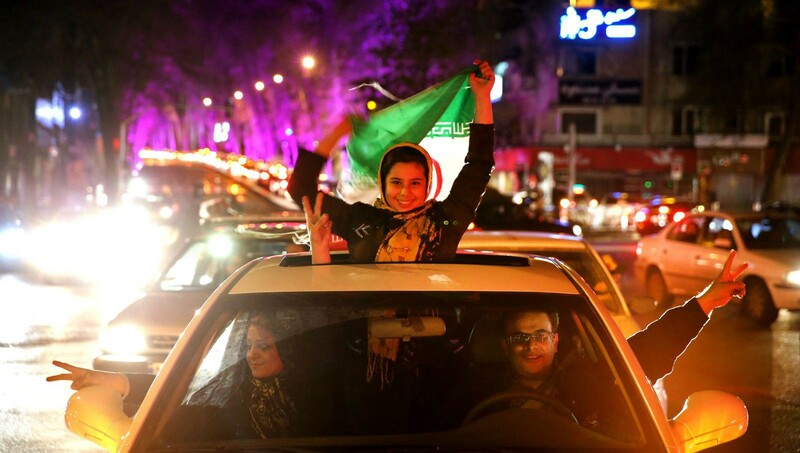 The more young Iranians abandon clerical proscriptions in favor of western mores, the less internal control (and political stability) the Islamic regime has. Taken in isolation, Iran’s panoply of social problems at minimum points to a society lacking the cohesion assumed by many in the West. But taken together, and coupled with a youth unemployment rate rivaling Greece and Spain, an oversupply of jobseekers with little to no practical skills and an economy in disrepair, one has a recipe for eventual implosion. Even in a post-sanctions environment, with most new transactions benefiting state-owned companies and Iran’s defense establishment at the expense of a struggling private sector, it is difficult to see how the regime can manage these problems over the medium-term without a substantial paradigm shift. Washington Post columnist and leading foreign affairs analyst Anne Applebaum wrote a few weeks ago that the end of the international sanctions regime on Iran will not yield a Gorbachev “Perestroika” moment from the regime. “Right now”, Applebaum wrote, “[President] Rouhani and his foreign minister, Mohammad Javad Zarif, think that lifting sanctions will help improve Iran’s economy and create popular support. But if it doesn’t, then they or their successors will immediately direct public anger and emotion at the Great Satan [the United States] once again.” In other words, if the regime does not deliver higher living standards and boost incomes for Iran’s struggling youth, it will double down on adventurism across the wider Middle East in an effort to divert widespread frustration. Consequently, “the result will be greater repression, more effective disinformation and, of course, more money for the export of the ideology of the Iranian revolution to Syria, Lebanon and Iraq.” All of this could well happen, but would in all likelihood accelerate the collapse of the Islamic government in a similar fashion to its late Soviet counterpart. The Soviet leadership followed Applebaum’s prescription in 1979 by using temporarily high oil revenues to finance the invasion of Afghanistan. Meanwhile, domestic repression increased with the ascent of Andropov to the Soviet premiership with high profile arrests and expulsions of dissidents, a crackdown on “corruption” with a series of show trials and saber rattling toward the U.S. and NATO. None of this did anything to stop the death spiral of the Soviet Union’s economy or the decay plaguing its disaffected society. If Iran principally directs revenues from a post-sanctions cash infusion to fund Hamas, Hezbollah and Iraqi Shia militias while ignoring domestic problems, it will place itself on an unsustainable path. The world is entering a prolonged period of low energy prices, driven by oversupply and a technological revolution in exploration and extraction. Iran, at present, simply does not have an economy developed or diversified enough to end its resource curse, which means it must keep extracting and exporting oil simply to stay afloat and cover growing budget deficits. The regime’s ability to pin the blame on the West for a failure, after the removal of sanctions, to turn the economy around is questionable at best given the political detachment of the population. Unemployed, unmarried and frustrated youth are tuning out the Islamic government’s propaganda in ever larger numbers. The idea that Iranians, some of the most worldly, cultured and inquisitive people in the world with a rich pre-Islamic (and pre-Islamic revolutionary) history, can be manipulated with cheap attacks on the United States or calls to neo-imperialism is rather contemptuous. Far from being a more dangerous and unpredictable actor — in the words of Applebaum, not a “reliable” diplomatic partner — Iran in the aftermath of sanctions is more vulnerable, far more predictable and potentially more open to engagement. If the Iranian regime follows the path of neo-imperialism and expands its adventurism across the wider Middle East, it will simply compound the avalanche of domestic, structural problems that threaten its survival. If, on the other hand, it turns inward — something it can do by choice now or out of necessity in a few years — it will have to scale back its current foreign policy (as any student of basic economics knows, you have to sacrifice guns to get more butter). Of course, Iran could choose to inflate its existing obligations away to finance its regional ambitions, or try to use its new access to credit markets and financial institutions to borrow ahead. In other words, Iran could keep its foreign policy in exchange for destroying its currency and/or saddling itself with unsustainable external debts at increasingly high interest rates. Unless the regime lacks any common sense, which the past twenty years have shown it does not, such decisions are doubtful. Military analysts do not seem to make good economists — Iran is a second-rate regional power crippled by social and economic problems which should have caused political transformation several times over. The youth have given the regime more time to deliver the goods and reverse ever worsening trends. If it does not produce results and fails to redress a disintegrating social contract, the revolutionary government will not be long for this world. In the meantime, we in the West should not extend it a lifeline by overstating its threat and understating its weakness.